About Golden ring. Trip to Golden ring. Tour to the cities of Russia. Trip to Russia. Legend tour. About Golden ring. Trip to Golden ring. Russia Golden ring. Zolotoe koltso tour. Golden ring tour. 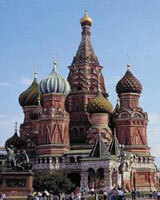 You do run the risk of 'old Russian church' overload here, so it pays to travel selectively. The most visited places are Sergiev Posad and Suzdal, but Vladimir and Bogolyubovo, Plyos, Kostroma, Yaroslavl, Rostov-Veliky and Pereslavl-Zaiessky, in their different ways, all have big attractions too.